Todays topic is a mid range gaming system based around the Intel i5 7600K and a GTX 1060. 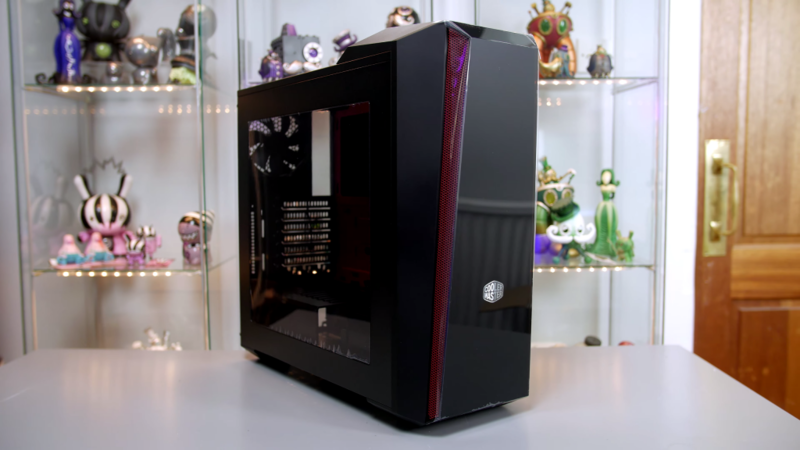 The build featured will set you back approximately $1300 and around £1200 in the UK. But as always keep in mind that PC part prices fluctuate and the price of the system maybe more or less depending on when you build it. For example if you build right now, SSD, RAM and GPUs are expensive, so you’ll be paying a premium for them. Now of course you can tweak and tailor the system to suit your needs as that’s what PCs are all about. 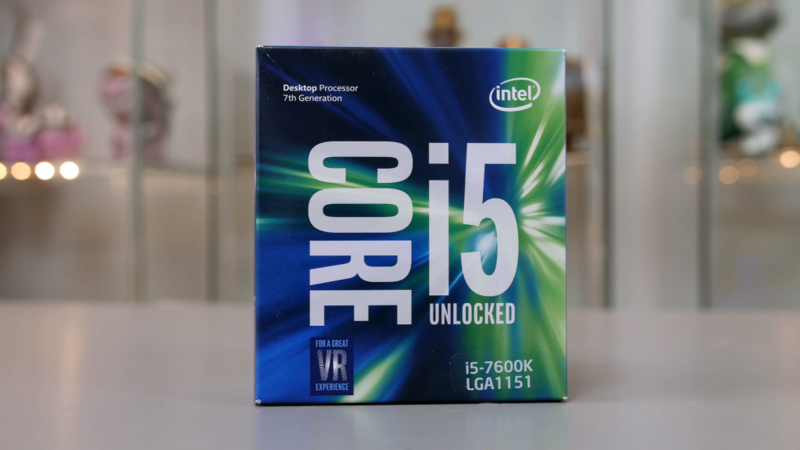 Lets kick off this post with the CPU of choice and that, like previously mentioned is the Intel i5 7600K. The 7600K is quad core CPU with four threads, has a base frequency of 3.8GHz and will boost to 4.2GHz. The i5 will overclock with this system, so you can push its performance if you want some more bang for your buck. The i5 also has 6MB of Smartcache, a 91W TDP and supports up to 64GB of 2400MHz DDR4. For more info see here. 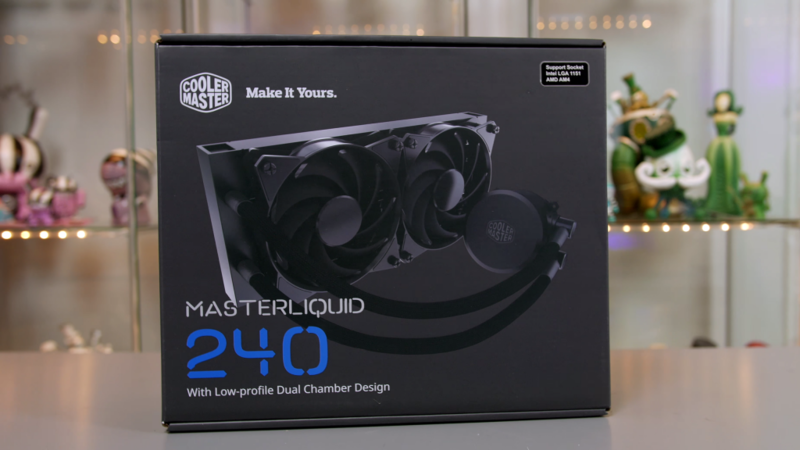 Next up is the CPU cooler and for this the Masterliquid 240 was provided. This is a great AIO cooler that will of course keep your CPU running nice and cool, even if you do decide to overclock the CPU. It has a fan speed range of between 650 – 2500rpm, a max CFM airflow rate of 66.7 and rated air pressure of 2.24mmH2O. Its also very quiet too, with a dBa range of between 6 to 30, it won’t overwhelm you with noise. It also uses FEP tubing for extra longevity, these are then sleeved which look very nice and will fit in with most builds. If you want more info on compatibility then check the link here. 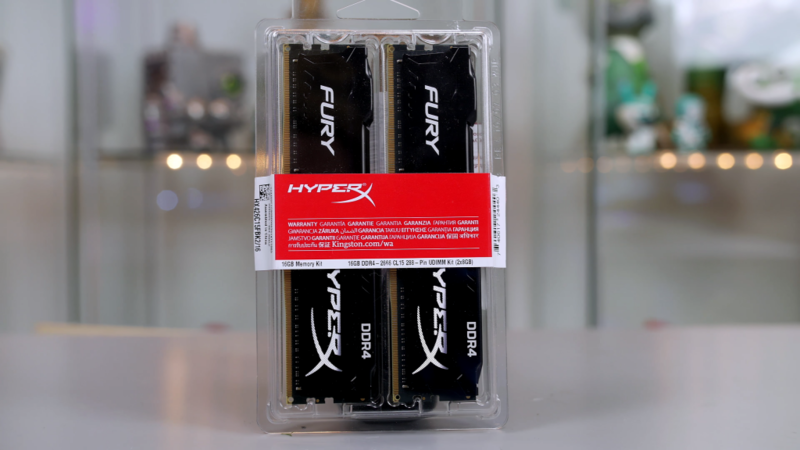 RAM is next and here the ever trusty and reliable Kingston Hyper X Fury. 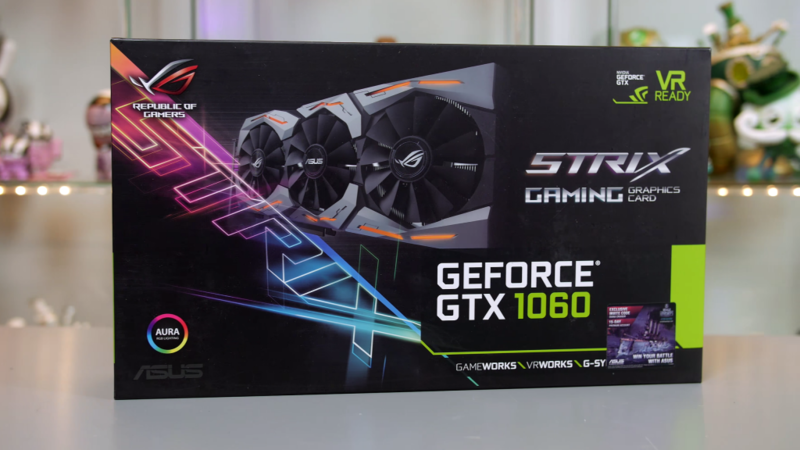 This 16GB kit is rated at 2666MHz and has a CAS latency of 14 and will give you enough system memory to handle gaming as well as some content creation too. 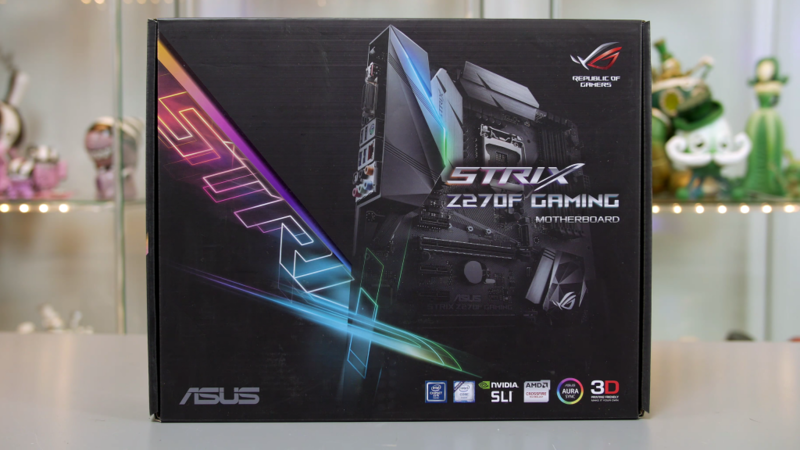 The motherboard is the next part and here we have the Asus ROG Strix Z270F Gaming. In my opinion on the best looking motherboards for the Z270 platform. But its not just a looker, it packet full of features. These include tasteful RGB zones, support for 2 M.2 drives, support of Intels Optane memory, USB 3.1, USB Type-C, 8 channel HD audio, 3D printing support, up to 64GB DDR4, SLI and Crossfire support, overclocking support and so much more. Its definitely got all the features you’d ever need from a motherboard and more. 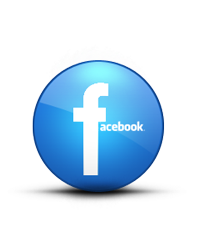 If you want to check more into it, click the link here. and will be good for some high end 1080p and light 1440p gaming. If you want more info on the specs and tech in the GPU, head to the link here. For storage there will be a two drive setup. The main SSD will be the Kingston Hyper X Fury 240GB. This will be ample for the OS and your software. Not only that but with speeds of up to 500MB/s read and write, its really quick. This will then be backed up with a 1TB Seagate Barracuda. 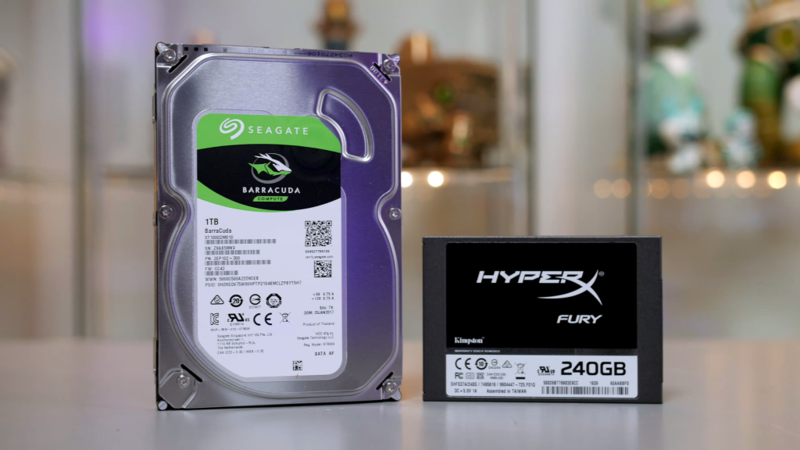 This is a 6Gb/s internal HDD that has 64MB Cache and will give you plenty of the space for your game library and files. This 2 drive setup is idle for a build this price as you’ve got good mass storage as well a quick SSD for fast load times. Its a similar setup to what I have in my system and it works for productivity and for gaming. 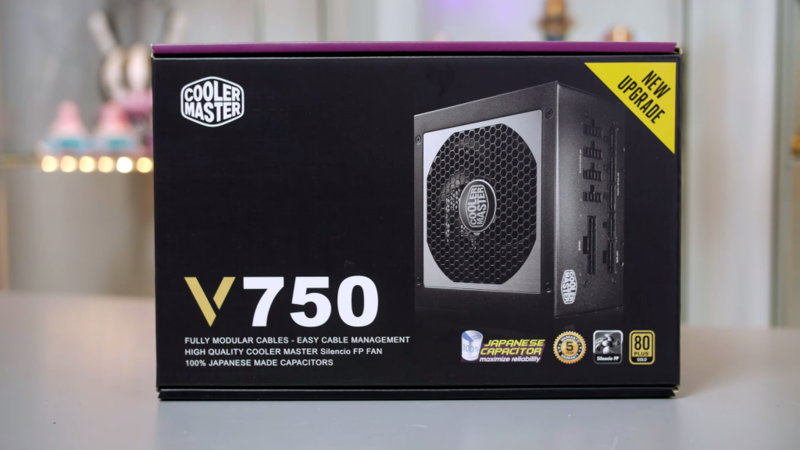 You’re now going to need some power and that’s where the Coolermaster V750 750W modular power supply comes in. This PSU is plenty powerful for this system as well as any future upgrades you maybe planning. 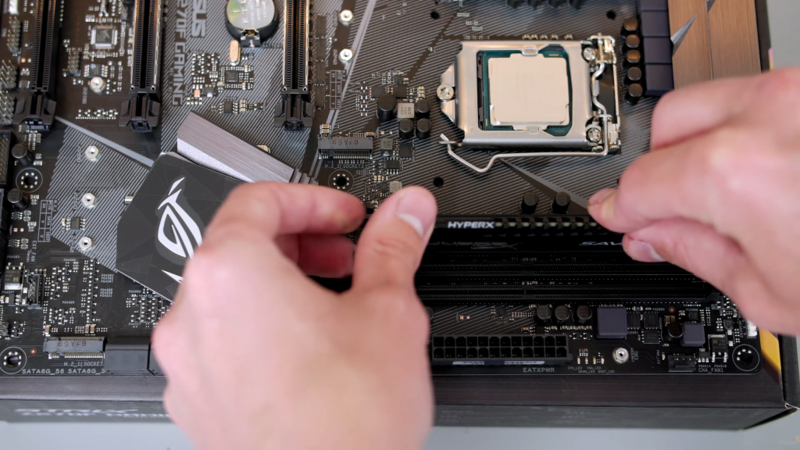 Whether opting for a more powerful CPU, GPU or adding more drives, this will have you covered. Not only that but because its modular, you only add the cables you need, which means less hassle when it comes to cable management. Also its Gold rated, has an efficiency of up to 92% and utilises a 120mm Siliencio FP fan to keep it cool and quiet. Its also great for radiator support as it can fit up to a 360mm rad with a thickness of up to 50mm (without fans) at the front. It’ll also be able to support a 120mm at the rear too. For more comparability info, check here. 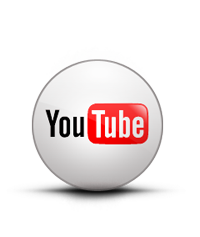 If you want to see how the system goes together or need help, click the image to watch the video. 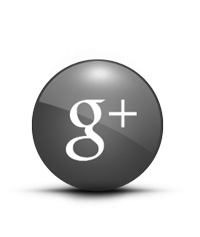 Now you’ve seen all the parts, lets take a look and see how this system performs. 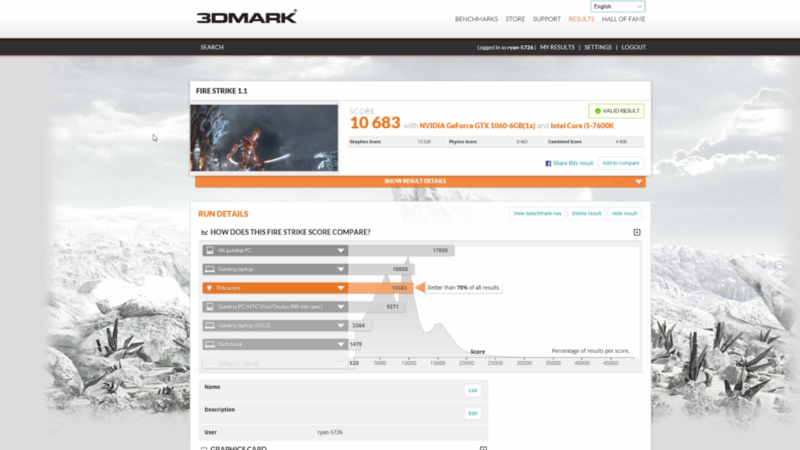 First up are the synthetic benchmarks and 3dMarks Firestrike is first up. The system managed an overall score of 10683 with a graphics score of 13520. 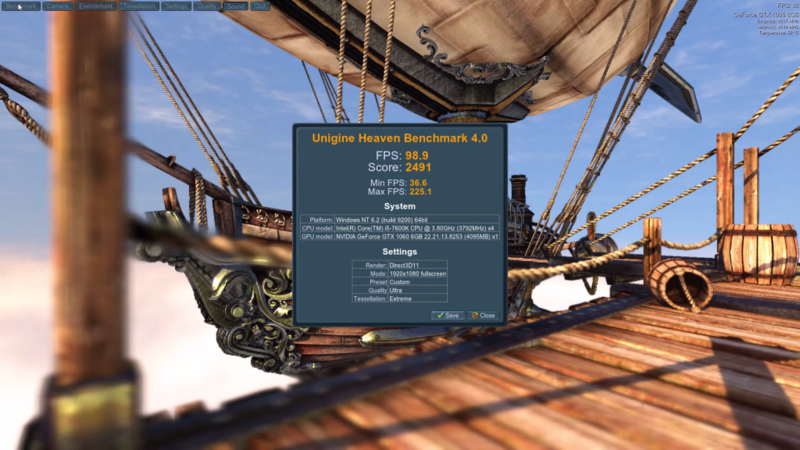 Next up is Ungines Heaven benchmark and here a score of 2491 was achieved giving an average FPS of 98.9. This was set at 1080p with the Ultra pre-set and tessellation set to extreme. Onto games now and the first up is GTA V. This was set to 1080p with all the settings cranked. MSAA x2 and shadows set to soft. With that it delivered a great performance with an average FPS of 92. 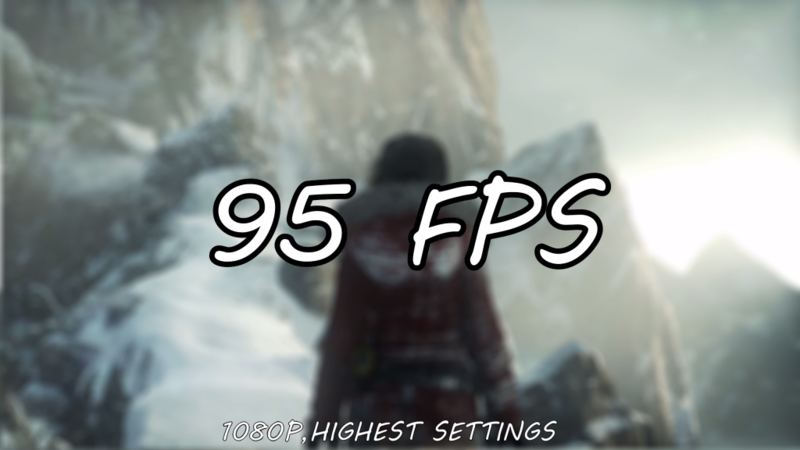 Next on the system was Rise Of The Tomb Raider. This can be a demanding title, but on this system at 1080p on the high preset, with DX12 enabled it delivered a solid FPS of 95 on average. 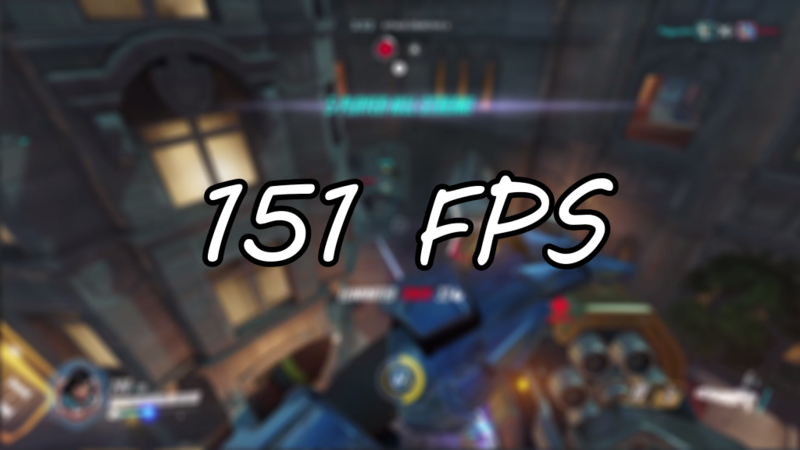 Overwatch is next up and although its not super demanding, it is fast paced and a good framerate is very helpful. This was again at 1080p with the Ultra preset and it delivered 151FPS, so if you use a 144HZ monitor, then you’ll be getting some buttery smooth gameplay. The final game on the list is PUBG, a very popular but demanding title. 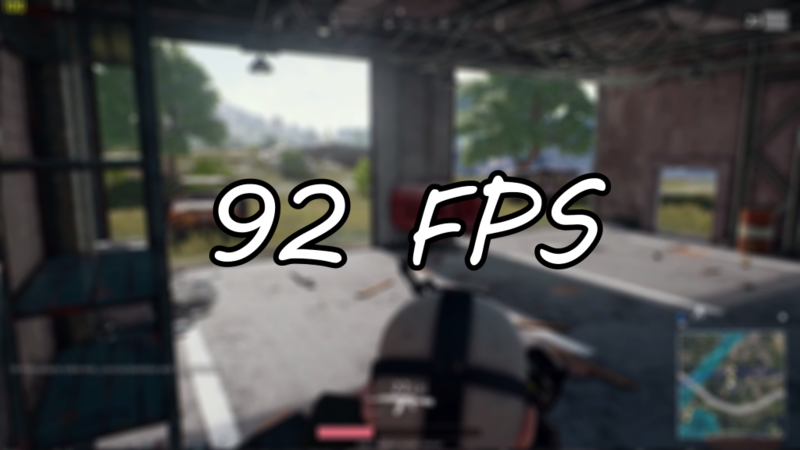 This again was set to 1080p with high settings, apart from foliage and shadows which were set to low, as this is a popular setting amongst PUBG players. 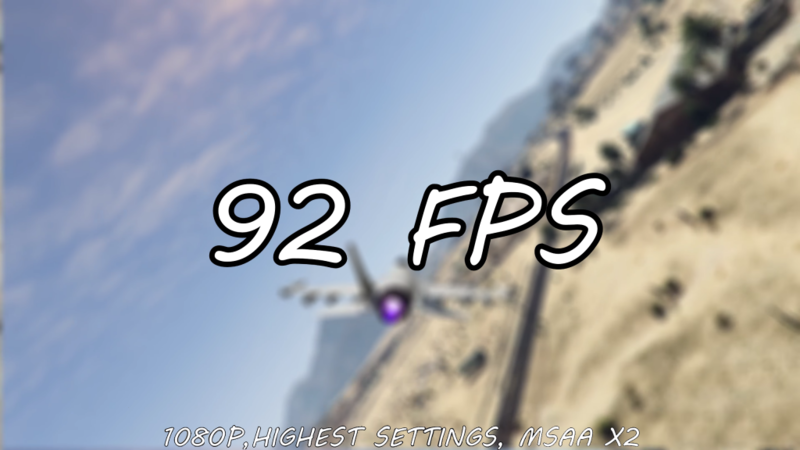 The system managed to deliver an FPS of 92 which is great. 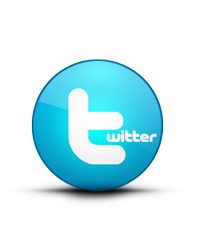 If you want to see the accompanying video, click the image below. As you can see, this is a great system for some 1080p gaming and as always all the parts are interchangeable to suit your needs. But the system as a whole is brilliant for gaming and will even be a great PC for editing some video too. 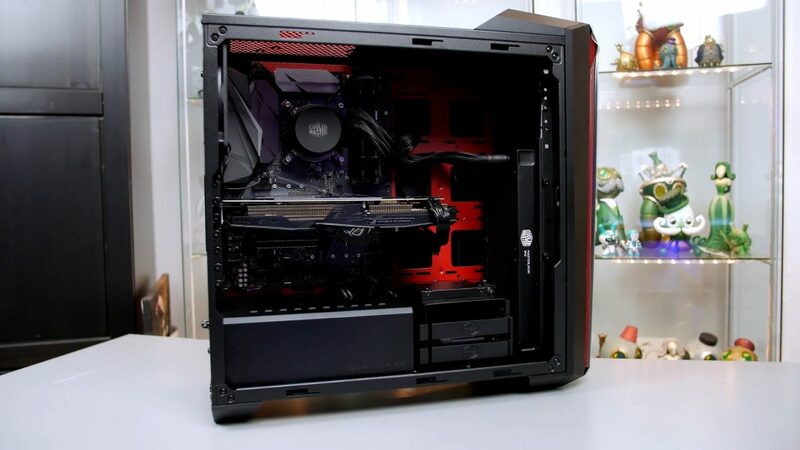 This PC is part of the UNILAD build series and was sponsored by Coolermaster UK, box.co.uk and UNILAD.